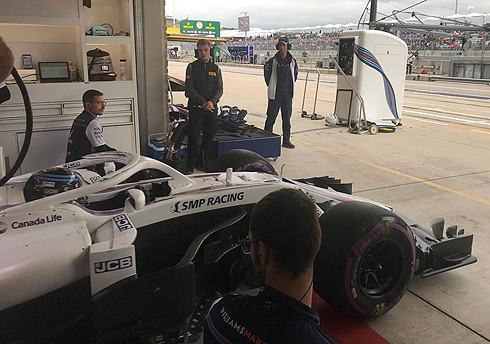 After only a single session run in the dry leading up to qulaifying the Williams Martini team would again find themselves at the back of the grid even though they got the best from their cars. 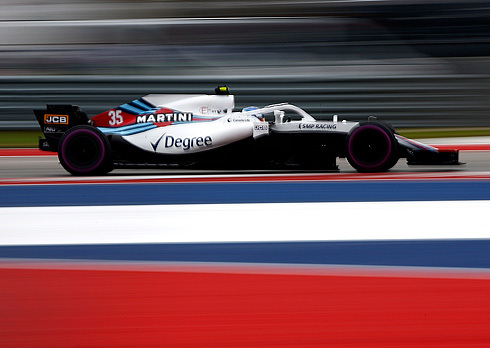 Sergey Sirotkin and Lance Stroll would finish in 17th and 18th after two runs on the ultrasoft tyre with neither driver making it past the opening period. With other drivers receiving penalties Sergey and Lance will start Sunday's race from 15th and 16th. The opening eighteen minute period would see dry running and as the times came it would be Vettel quickest with a 1m:34.569 followed by Raikkonen and Leclerc. But it must be remembered that Vettel will be receiving a three place grid penalty. Verstappen would move into third while Bottas would go quickest with a 1m:34.518 but Hamilton would also go quicker with a 1m:34.176. Verstappen was now fifth followed by Ricciardo, Sainz and Perez. Verstappen would have an issue losing drive while he was on a quicker lap. Hamilton would go quicker with a 1m:34.130 followed by Bottas, Vettel, Raikkonen, Ricciardo, and Verstappen. Ocon would move up to seventh followed by Grosjean, Hulkenberg, and Magnussen in tenth. But Gasly would move into seventh followed by Ocon, Sainz, and Grosjean tenth. 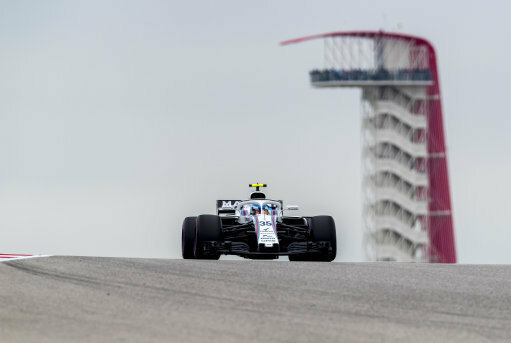 Both Williams drivers would fail to make it past the first period finishing in 17th and 18th but they would start from positions higher than this due to other drivers grid penalties. The second period of qualifying would see with the first runs Raikkonen going quickest with a 1m:32.884 running on the ultrasoft tyre. Vettel was second followed by Hamilton, Bottas and Ricciardo, but they had set their times on the supersoft tyre. Sixth was Leclerc followed by Grosjean, Perez, Ocon, and Hulkenberg tenth. Raikkonen and Ricciardo would not come back out for a second run feeling that they were safe. Neither Torro Rosso would come back out as they were to receive engine penalties that will see them start from the rear. After their second runs those who had set an earlier supersoft tyre would abort their laps and there was no improvement from the others so the top ten would remain unchanged. The final period of qualifying would see Hamilton quickest from Vettel, Raikkonen, Bottas, Ricciardo, Ocon, Hulkenberg, Grosjean, Leclerc and Perez tenth. But Vettel will have to drop to fifth as a result of his three places grid penalty. With the penalties the Williams pair would be 15th and 16th on the grid for what again is going to be a difficult race. Lance would be first out for Williams running on the ultrasoft tyre. Lance would set a slow 1m:46.030 but his next lap would be a 1m:36.510 to currently be 17th. But as the final runs were completed he would drop to be last. Lance would pit but would return on a new set of ultrasoft tyres. Lance would set a 1m:35.480 to be only 18th and also out of qualifying. Sergey would come out early joining his team-mate also on the ultrasoft tyre. Sergey would set a 1m:36.300 to currently be fourth. Sergey would pit after a quick three lap run. In the pits he would drop to 17th. Sergey would return on a new set of ultrasoft tyres and would finish with a 1m:35.362 to manage only 17th. This would see him out of qualifying.